15 minutes play...BumbleBeans Inc.: Joyful! Your machine quilting looks great from here! I would jump for joy if I could do as well. 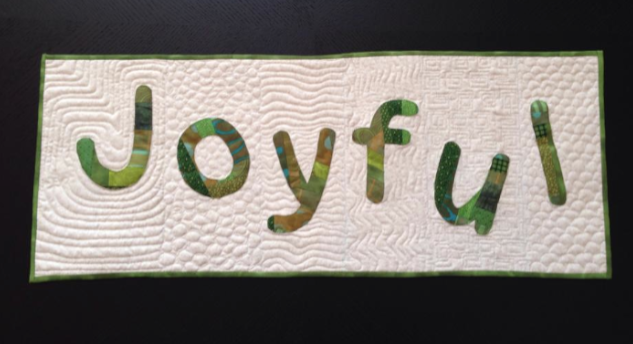 That quilting looks "joyful" to me! I'm working on that journey, too. Have fun with it! I agree with Helen-that quilting looks pretty darn great from where i stand too! Thank you, you all are very kind! This is the first time I've ever done a challenge. It's quite a motivator! I promise not to look too close at your quilting if you promise to not look too closely at mine ;). You'd is quite accomplished, really. Lovely ... you've inspired me to go practice!